Located on the toe end of Italy’s boot, Gioa Tauro is a testament to Italy’s failure to develop the south. Far from the tourist traps of Rome and Venice and even the fizzier, more dangerous charms of Naples, the town has become synonymous with poverty, crime and the failure of the state. A sequel of sorts to his 2015 film Mediterranea, Italo-American writer-director Jonas Carpignano has picked a side character from his first film Pio Amato for coming-of-age drama The Ciambra. 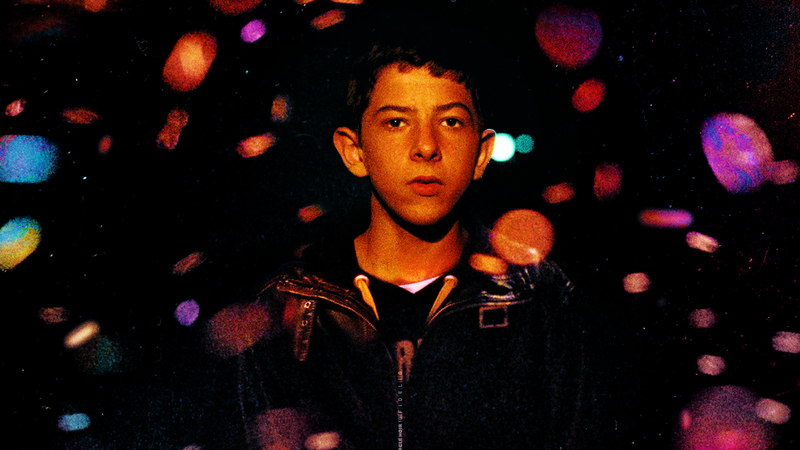 Fourteen-year-old Pio lives with his extended family in a semi-derelict housing project. Here the electricity is stolen, and money is earned via a series of shady dealings with the local ‘Ndrangheta, the Calabrian version of the Mafia, who the family refer to as ‘the Italians’. This sense of displacement is explicitly expressed by the ancient grandfather who reminisces to Pio about how the Romani people used to travel, looking fondly at a cart he was born in and warning Pio that ‘it’s us against the world.’ It’s a sentiment which is enforced when the police raid the houses and cart off Pio’s father and elder brother to jail. ‘It won’t be the last time,’ the Carabinieri officer warns the mother. Pio sees his opportunity to step into his brother’s shoes. With the help of an immigrant from Burkina Faso – Ayiva (Koudous Seihon), who incidentally was the protagonist of Mediterranea – Pio begins to make some money from petty thievery and selling his wares via Ayiva in the refugee camps. His friendship with Ayiva goes against the casual racism of his own family, which looks down with disgust on the ‘Africans’. Pio discovers an alternative community in the camp with one immigrant telling him ‘we are all gypsies’. Unfortunately, such a sense of solidarity is fleeting, and Pio will soon have to choose the world to which he wants to belong. Placing itself firmly in the tradition of Italian neorealism from Roberto Rossellini to Matteo Garrone, Tim Curtin’s camerawork is immersive and spontaneous while not insensitive to moments of accidental beauty. The poverty and general grimness of the surroundings can be alleviated briefly by warm orange of a barrel fire or the lights of the local nightclub. Likewise, Dan Romer’s music adds a dramatic tone. Despite the deprivation this is not an austere film and there are even moments of dream-like glimpses of the past, though unhappily they tend to be of the too on-the-nose variety. Carpignano’s mission seems to be to give the marginalized and voiceless a chance to represent their own stories. But aside from Pio and Ayiva and some of the chain-smoking kids, there’s hardly a likeable person in the whole film. There’s a grinding pessimism to Pio’s path and it isn’t helped by some poorly plotted moments, which seem more intent on trapping Pio than credibly moving the story forward.